Which tools did I use on my research? Which tools did I find useful during my Innovative Learning Masters program? 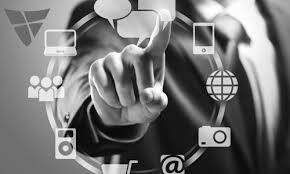 On this page you will find some of my favorite tools and how to use them. ​Some of these tools I found so useful that I immediately used them within my classroom and taught them to my students. Click on the image to find out more about the tool. 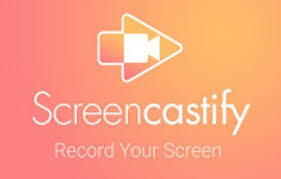 Screencastify is one of my favorite tools I learned from the Innovative Learning Masters program at Touro University. Once I learned about this application, I wanted to teach it to my students. This app worked really well, especially when I asked my students to create a Google Slide project describing how Social Media such as Twitter or Facebook has influenced their lives, by narrating their thoughts onto the project. Weebly is a tool I have used personally in the past but I did not used it to its fullest potential. When I started using it within my classroom I found out the power of Weebly and the power of student blogs. Just like Screencastify, once I was taught how to properly use Weebly and with purpose, I immediately used it within my classroom. My students found it fun creating and personalizing their own websites with pictures and blogs without them even realizing they were working on their writing and artistic skills. Google Forms ​​is the tool I use the most in my classroom and to gather the quantitative and qualitative data that I needed for my Capstone project. I have used this tool for many different lessons within my classroom and for many other personal projects. Google form is easy to use and can create a multitude of different graphs to show off the data collected.